I’ve lived in and around of Brixton for the past three years now and I’m seriously infatuated – I’m so happy we’ve managed to make our little home here. It’s the first place I’ve lived where I didn’t feel the need to leave the area in order to find a decent restaurant, bar or shopping opportunities – it’s all here. I love spending my days wandering around the area, trying out all the new places that are constantly opening up – there’s so much to do! I like doing these little area guides, but often it can be a little difficult to offer a comprehensive picture of an area if you don’t know it that well. However, after three years, I think I’ll finally be able to write you a guide that will cover a lot, if not all, of the bases – I hope it’ll be helpful! Brixton has a lot of markets. From street stalls selling fresh veggies and fruits to the Village & Market Row’s many restaurants and independent shops, there’s so much to choose from. Electric Avenue is probably the more conventional, and probably the most “authentic” of them all. It’s full of stalls selling fresh fish, fruits and vegetables as well as clothes and all sorts of things you might need for your home such as cleaning and kitchen supplies. Electric Avenue is known for many through the Eddy Grant song (this definitely starts playing in my head every time I walk past the street..!) but it’s also famous for being the first market street to be lit by electricity – as you might have guessed from the name! Very close to Electric Avenue you’ll find Brixton Market Row & Brixton Village. They are a collection of little rows filled with cafes, restaurants and bars, as well as even more fishmongers and butchers dotted in. There are also quite a few Afro-Caribbean supermarkets which I love for finding ingredients in – their spice selections are so good! I’d love to one day say that I’ve tried all of the restaurants in here, but I’m not sure it will ever happen – there are just SO many! My favourite is a Mexican restautant called Casa Morita – their food is super yummy and the atmosphere is always great. 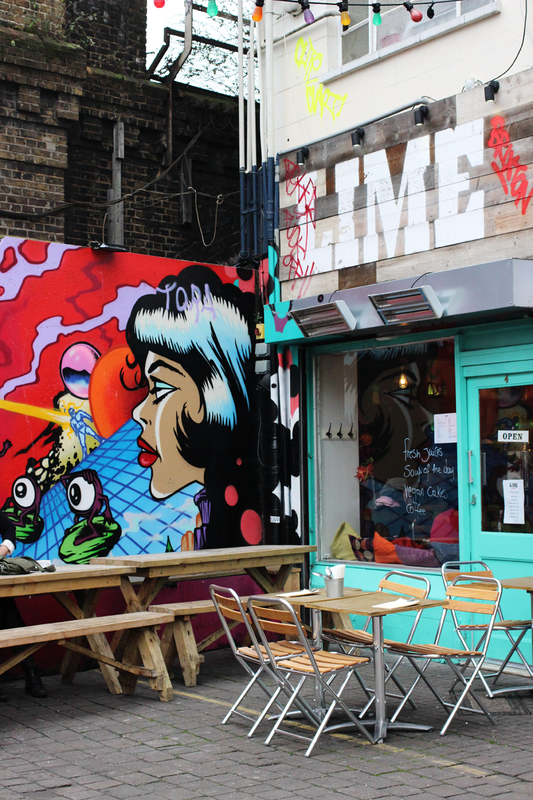 Casa Morita and most of the other restaurant in Brixton Village & Market Row are always really busy so go early or be prepared to queue – especially for weekend brunches & dinners! Pop Brixton is possibly my personal favourite of all of the markets, especially during the summer time. It’s a little bit similar to Boxpark in a way that it’s made out of shipping containers and each container has one restaurant (or shop – there’s a few shops too!) in it. There’s lots of choice, and I really like going here as you can take a few friends and even if you’re not all after the same cuisine, you can always just all choose a different restaurant and still eat together in the communal tables in the middle. There’s also a few small sit down restaurants such as Zoe’s Ghana Kitchen which is excellent but most places don’t have their own seating area. My favourite vendors are Made of Dough, Baba G’s and Maria Sabina. I’ve covered a lot of food recommendations already as you really can’t go wrong by choosing something from one of the markets – I can certainly vouch for at least Kao Sarn, Seven at Brixton & the aforementioned Casa Morita. 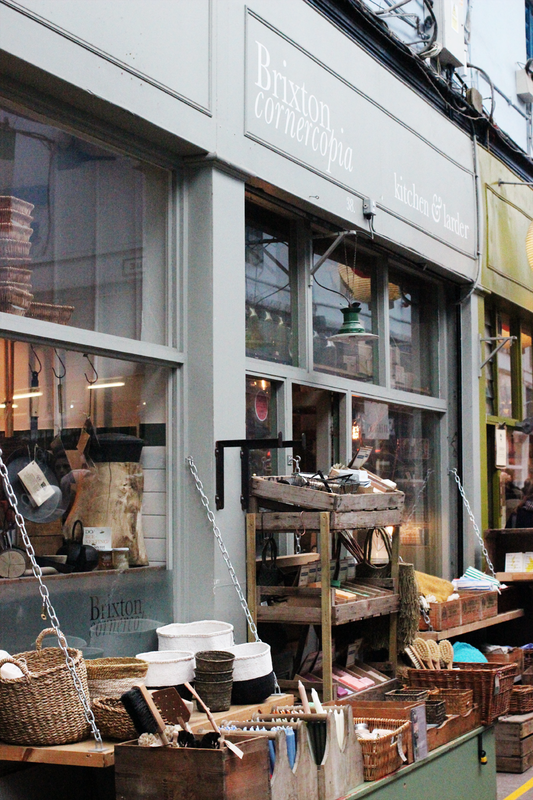 But there are so many foodie spots in Brixton even after you’ve exhausted the markets and the nearby Coldharbour Lane and its neighbouring streets are definitely a goldmine when it comes to good restaurants. I would recommend The Lounge for lovely salads and burgers, Three Eight Four for delicious little plates (take the jalapeño wontons – they are so good!) and Mamma Dough pizzeria a bit further along the road towards Loughborough Junction. In recent years Brixton has also got its fair share of chain restaurants which many see as a big sign of the continuing gentrification of the area. Whatever you think of them, you’ve definitely now got your fair share – there’s the bigger chains like Wahaca and Cabana as well the smaller ones such as The Rum Kitchen (their rainbow salad is one of my favourites! ), Dirty Burger and The Blues Kitchen. 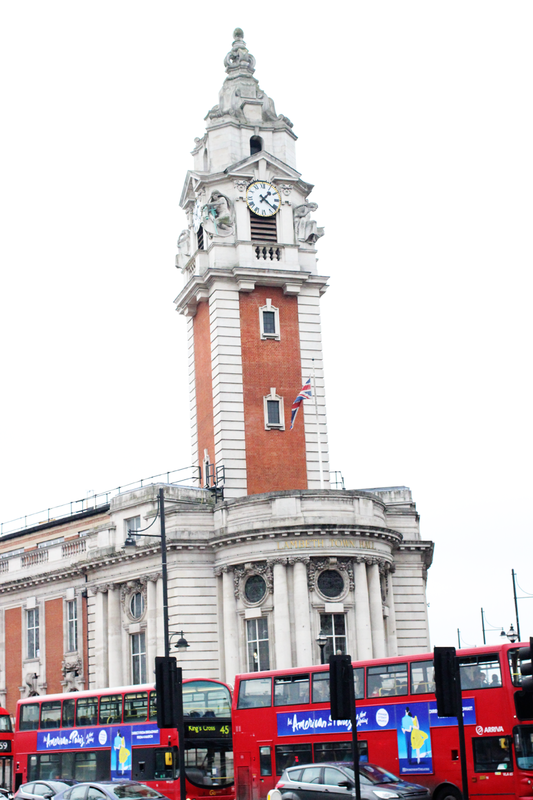 Brixton has a lot of bars – a lot! It gets very busy during Friday and Saturday nights, and I personally prefer the smaller and quieter places (how old does that make me sound?! ), but there’s also lot’s of party places if you’re that way inclined. POW (or Prince of Wales) is one of the biggest and they have a rooftop bar which is pretty much open throughout the year and looks very cool. They host a variety of club nights, and the music they play is usually along the lines of old school hip hop, r’n’b and house. Prince of Wales also has a pub on the street level in case you’re not quite ready for the club just yet! One of my favourite places for a drink is definitely The Wine Parlour on the corner of Atlantic Road and Vining Street – it’s the cosiest little wine bar. I don’t pretend to know much about wine, but this is why this place is so great – the staff really know their stuff and will happily help you to choose the perfect wine if you’re feeling a little lost. I love this place on dark rainy days when it feels like a true escape from the real world, but, they do also have a lovely little courtyard which makes it a perfect place to while away summer afternoons too. Other places I love are Three Little Birds for amazing Jamaican fare and delicious rum cocktails, The Market House for cosy sofas and old school music and The Junction for live jazz and board games a bit further away in Loughborough Junction (but well worth the short bus trip!). Also, I know it’s not quite summer yet, but when it does come, you should definitely go to the lovely and massive beer garden in the Duke of Edinburgh pub. 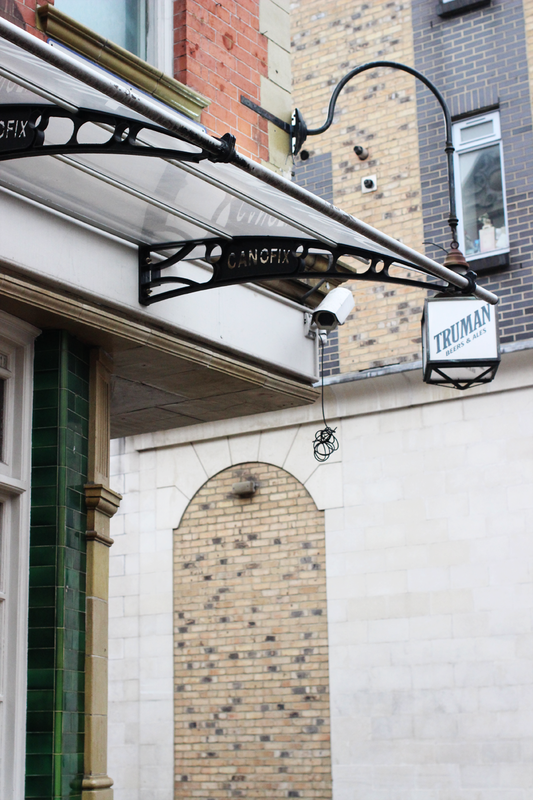 They also do yummy burgers – I can’t wait for sunny days so I can go back! 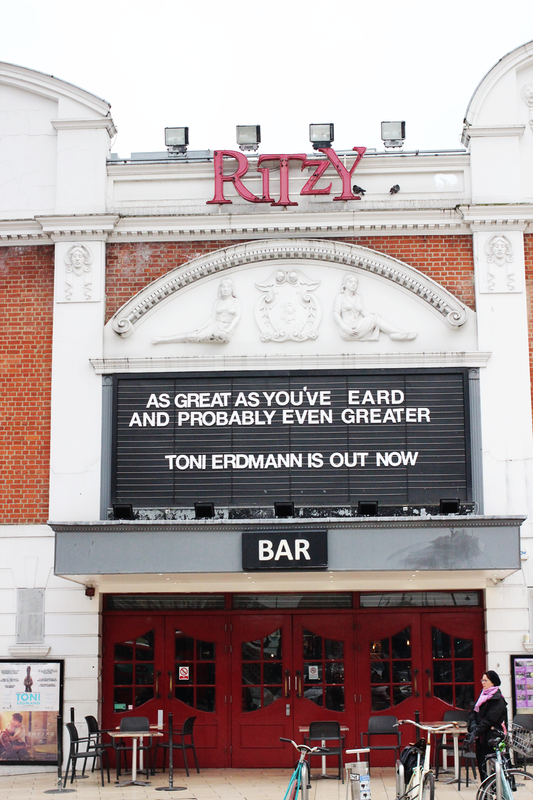 Unless you want something specific, it’s really not necessary to leave Brixton if you want to go shopping. It has it’s share of chains such as New Look, H&M and Foot Locker, as well as the lovely Morley’s stocking different popular brands such as Topshop and Warehouse, but also everything from homeware and interior stuff to make up and skincare. Morley’s is definitely a Brixton institute, and well worth a visit! 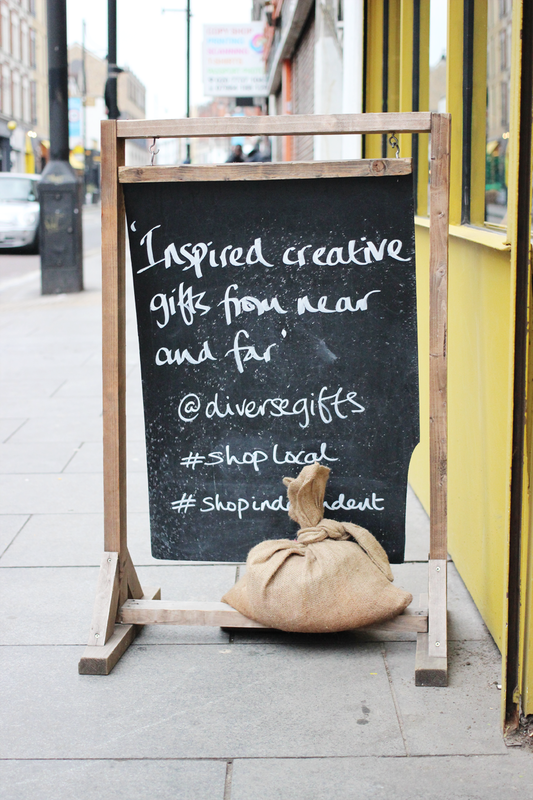 My favourites, however, are the lovely little independent shops dotted around the markets and Coldharbour Lane. My absolute number one is probably Turpentine which has a colourful selection of gifts, prints (they have the most beautiful hand drawn map of London which I’m seriously lusting over!) and jewellery. 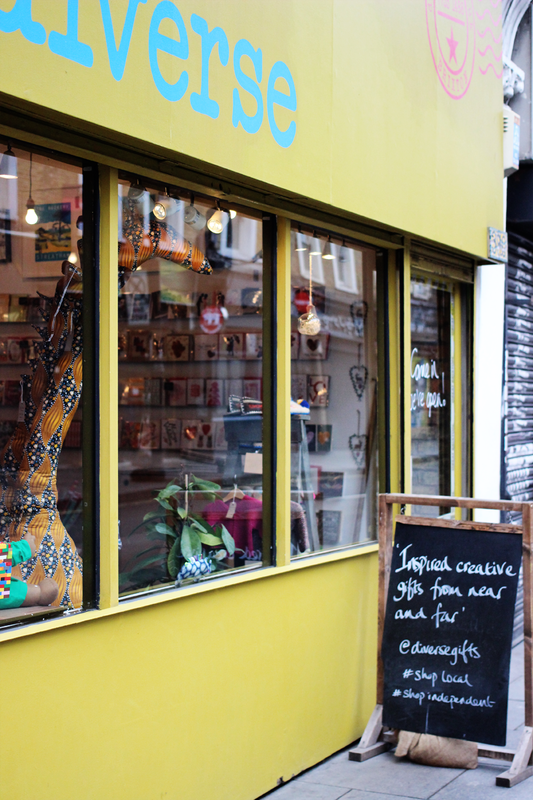 Other great little shops are Omnis for handmade design pieces and vintage clothes, Diverse for, well, a diverse selection of unique gifts and art and Sugar + Style for a well curated selection of clothes and accessories. 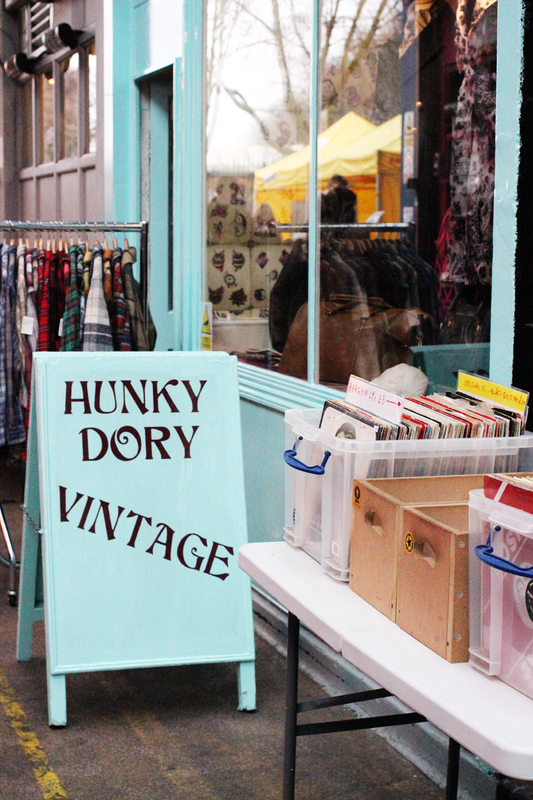 These shops are all in Coldharbour Lane, but like I mentioned, there are a lots more to discover in the markets too – there’s especially a lot of vintage (and vintage inspired) shops to rummage through there! I feel like I could still ramble on for ages and ages, but I think I have to end this post at some point.. I keep thinking of places I want to mention, but if I talk about all of them, you will be here until next year. Maybe I’ll make Vol 2 at some point – there’s still so much for me to explore!